For years, Ne-Yo has been living the life most people only dream about. Realizing this, Ne-Yo made a song about how much fun he is having. Most men would love to be able to sing and dance like Ne-Yo and have the money he does. Even with all of this and always surrounded by beautiful women, something was missing in his life. Despite the rumors surrounding his sexuality, Ne-Yo is straight and has wanted children for some time. However, due to the life he lives and women throwing themselves at him, he has not been great relationship material. Ne-Yo has longed for a relationship, but his lifestyle is rough on a woman. When Ne-Yo met Monyetta Shaw, things were different. She accepted him for who he was and what he did. Shaw enjoyed a front row seat and lives the "Champagne Life." Ne-Yo has repeatedly told the media that he is madly in love with his girlfriend and made waves when he announced she was pregnant with his child. 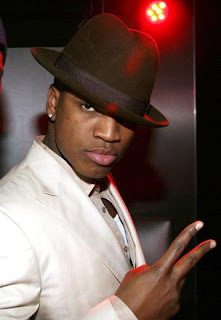 Now, with the release of Libra Scale right around the corner, Ne-Yo's life has been changed forever. He is now a part of the fatherhood club. Yes, Ne-Yo has been living the good life for some time, but now he feels as though his life is truly complete because he has someone he can mold. Ne-Yo and Monyetta happily showed the world their beautiful daughter, Madilyn Grace Smith.